Rural Marketing Solutions, launched in 2012, provides rural marketing advice, services and solutions for businesses focused on the farming, equestrian, smallholder and rural communities. The team, led by Rebecca, pride themselves on working closely with clients to deliver bespoke marketing activity to help rural businesses grow. Growing up in rural Oxfordshire, Clare has always retained her passion for the countryside. Having worked for over 10 years within marketing communications and event management Clare has both agency and client side experience. She has worked on a number of UK and international events and therefore naturally leads and delivers projects within a set time frame and budget. With her countryside roots and experience from working at Countrywide, Clare delivers engaging results supported by her excellent communication skills and experience of working across the full marketing mix. 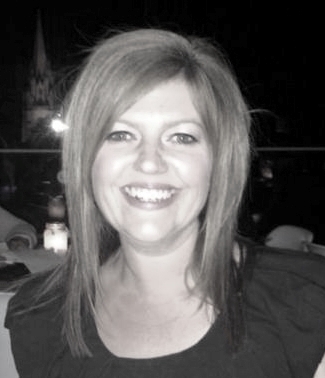 In her spare time Clare enjoys horse riding, walking her dogs and raising her 3 children. A dairy farmer's daughter from Shropshire, Rachel has a genuine understanding of the agricultural sector and fully appreciates the challenges that the sector can present. Having grown up and still living on the family dairy farm Rachel continues to enjoy all things rural. Rachel has a passion for the countryside and farming life and is actively involved in the Young Farmers organisation. A graduate from Durham University Rachel has worked across a portfolio of national food, drink and rural clients. Her experience in PR, marketing and social media campaigns delivers effective and innovative communication results. Rural Marketing Solutions work with a number of freelance Graphic Designers, who are carefully selected depending on the clients requirement, to provide innovative fresh ideas. Our freelance graphic designers have over 20 years experience in creative design and have worked in large advertising and design agencies They are experienced in designing a wide variety of marketing material including newsletters, leaflets, brochures, flyers, adverts and product packaging along with on-line graphic design for website and e-marketing.